Detailed home sales statistics on popular Edmonton neighbourhoods, including average sale price graphs and analysis as well as active listings by neighbourhood. Visit Westmount homes for sale for all the current active real estate listings in this Edmonton neighbourhood on the west side of Downtown. The average selling price for a home in Westmount so far in 2015 has just passed $500,000 and is now sitting at $507,666. In 2014, the average selling price in Westmount was $489,329. Going back further, from 2013 to 2014, property values in Westmount Edmonton appreciated by a strong 12.4%. For comparison, in the entire Edmonton real estate market, the Edmonton average selling price increase for single family detached homes was 5.8% from 2013 to 2014. The average selling price stats are based on what a single family detached house sold for in the neighbourhood, the other types of homes namely duplexes or condos are not included in these statistics. In the high end price segment of the Westmount Edmonton real estate market, the highest price that a home sold for so far in 2015 has been $655,000. In 2014, the highest price that a Westmount home sold for was $1,165,000. That was one of two sales over the $1 million price point in Westmount last year. Having a look at the lower end / entry level of the price spectrum in the neighbourhood, the most affordable home in Westmount Edmonton sold for $308,000 this year. That home sale a 1913 built home on a large 50'x150' lot. Last year, it took 39 days on average to sell a home in Westmount, so far in 2015 the average days on market in the neighbourhood has been lower at 26 days. 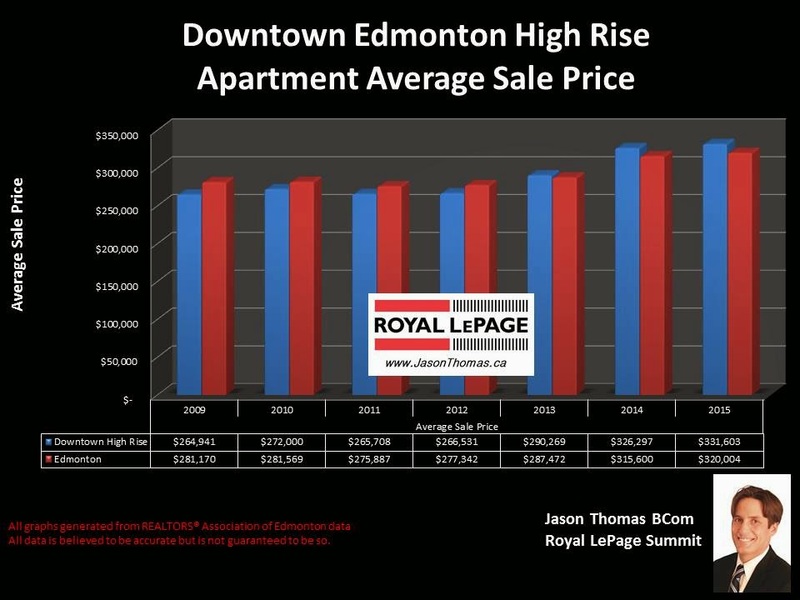 The Edmonton average days on market so far in 2015 has been 48 days. 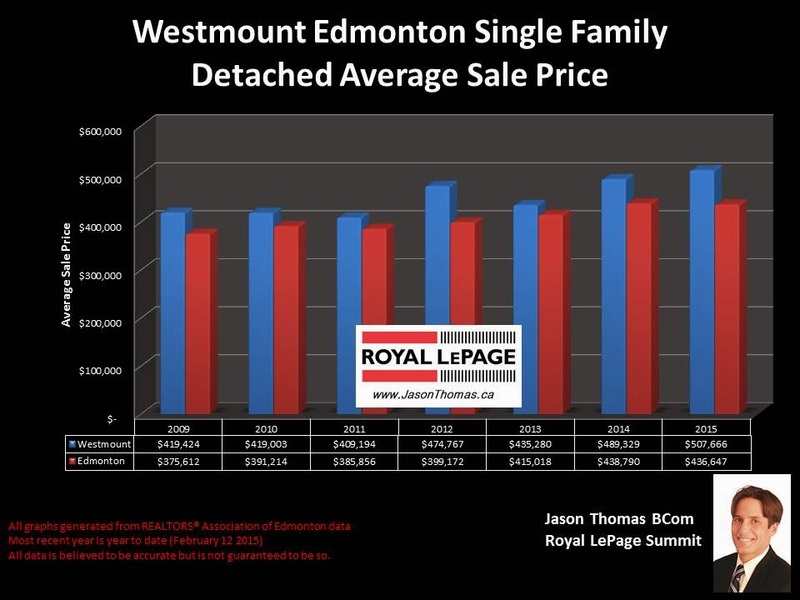 Since 2009, real estate property values in Westmount Edmonton have appreciated by 21%. In the duplex market in Westmount, in 2015 the average sale price for a Westmount duplex has been $415,000 with a quick average days on market of 11 days. In 2014, duplexes / townhomes in Westmount were selling on average for $405,944, and the average time to sell a Westmount duplex was 43 days. Lastly, looking at the Westmount condo market, the average sold price for a condo last year was $261,692. Condos in Westmount took 51 days on average to sell. The condo complexes that have had condo units sell in them over the previous 12 months in Westmount Edmonton include: The Andorra, Brisdon Manor, Colonial House, Darlene Manor, Glenora Gates, Glenora Mansion, Hadrian House, High Street District Properties, Marcova Manor, Montego Manor, Park Place Oliver, Park Street Place, Properties on High Street, Richmond Arms, St. Lawrence Court, Sundial Manor, Westmount Manor. The highest priced sale for a condo in Westmount in the last 12 months was a unit in the Properties on High Street. That unit sold for $1,150,000 and was over 2500 square feet. 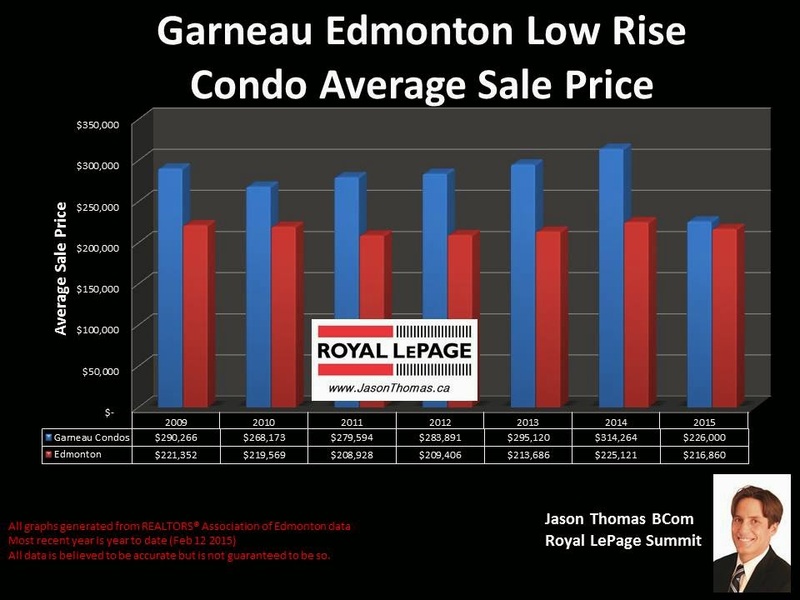 To view more stats on this neighbourhood and other Edmonton neighborhoods visit Edmonton Home Sale Prices.